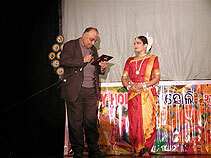 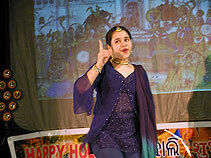 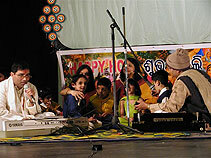 The holi 2005 memory will live upto next celebration of Holi 2006. 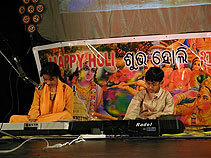 Note:Holi program was arranged by the Oriya Bhajan Group at Murugan Temple Auditorium, 6300 Princes Garden Parkway, Lanham, Maryland 20706. 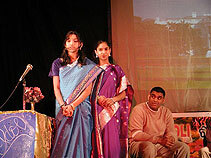 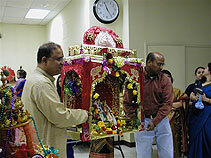 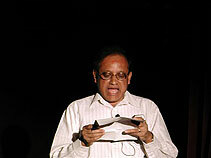 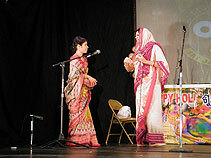 Holi festival organized by Jagannath Organization for Global Awareness(JOGA) on March 19th, 2005 at Murugan temple auditorium in Lanham, MD was attended by many people from seven north eastern states. 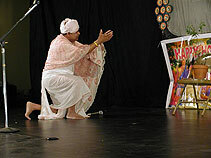 The celebration started out with the welcoming of the Radhakrishna murtis and an engaging pala (BhaktaDruba) that entertained the crowd as the audience filled with guests. 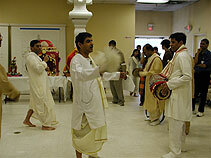 The arati followed by bhajans, sung by the melodious voices of DC area ladies and gentlemen. 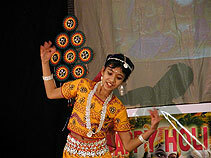 Next, anxiously awaited by several newHoli participants, was the dance stylings of the reknown Meera Das of Cuttack, Orissa. 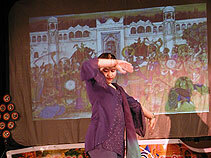 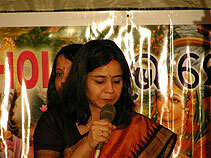 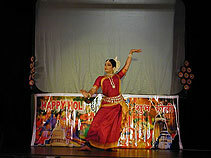 She truly personified the art of Odissi and received an outstanding ovation. 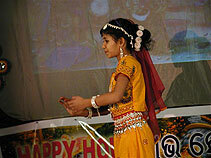 Following her presentation, the children got to show off their talents in acting, dancing, and singing in the first part of the Children's Program. 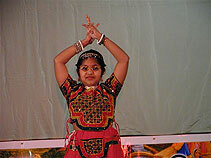 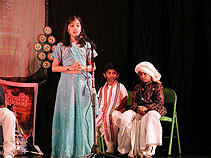 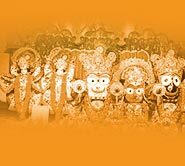 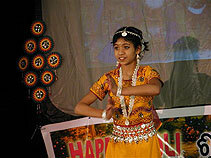 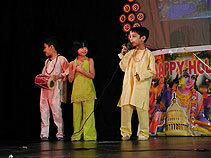 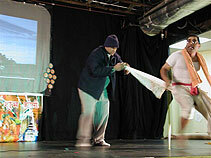 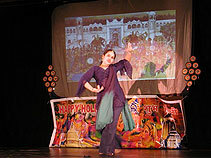 This included the children's drama Draupadi, which was a knock-off of American idol, as well as folk dances by brother and sisterpairs, and hindi dances. 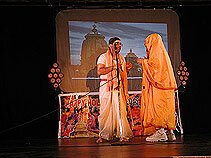 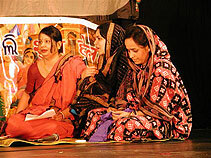 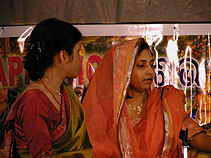 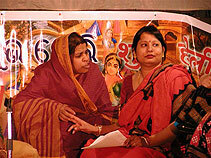 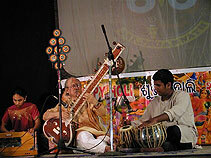 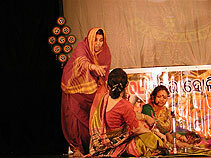 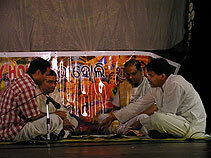 religious drama, Saradha bali kanduchi and Khola chithi. 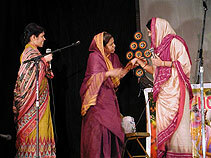 Everything ended with nice prasad bhojan.